Silver/CIMS LLC Inspection Services, Inc. is an independent third party inspection company dedicated to the certification and inspection of Intermodal Equipment. 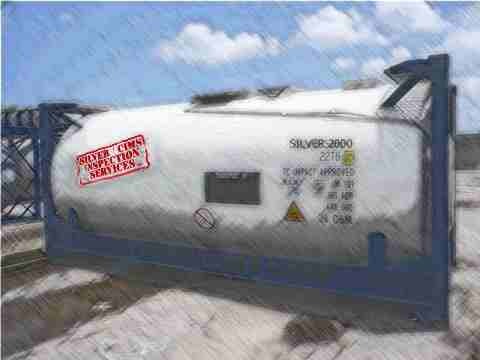 Silver/CIMS LLC Inspection Service has obtained Approval Agency Status (approval number IA-9101) from the competent authority of the United States through The Department of Transportation for the certification of UN Portable tanks, and periodic testing and inspections of UN Potable, IM101 and IM102 tank containers. We have received "Delegation of Authority" status from the U.S. Coast Guard for Convention of Safe Containers (CSC) for certification of cargo containers; registration identification symbol "SI". Additionally, we are recognized as "Registered Inspectors" and "Design Certifying Engineers" for the inspection and testing of road tankers via the US DOT, approval number CT-1393. Our surveyors are equipped with digital cameras and hand-held computers to provide instantaneous downloading of survey reports and photos for direct, world-wide database access. Silver/CIMS LLC provides state-of-the-art, as well as, time-proven inspection methods to provide the highest inspection and customer service standards available.